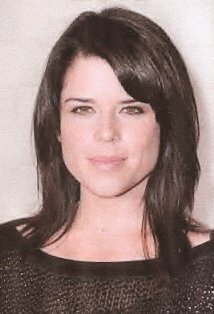 Neve Campbell is joining the cast of Grey’s Anatomy. In December, she will guest star in 2 episodes, playing one of Derek Shepherd’s (Patrick Dempsey) sisters. Before Campbell became famous for her role as Sidney in the Scream franchise, she was the sweetheart of television on the tear jerker, family drama, Party of Five. So, it’s only fitting that she join another drama which ensures that the tears are flowing by the end of most episodes! Here’s the Party of Five cast looking back on the show. Season 9 of Grey’s Anatomy will deal with the aftermath of the big plane crash. Judging by the trailer, it looks like this will be another tear jerker of a season! Grey’s Anatomy returns to US screens next week and will be back on Irish screens later this year. This entry was posted in TV News and tagged Eric Dane, Grey's Anatomy, Grey's Anatomy Season 9, Neve Campbell, Party of Five, Patrick Dempsey, Sarina Bellissimo, The Bellissimo Files. Bookmark the permalink.